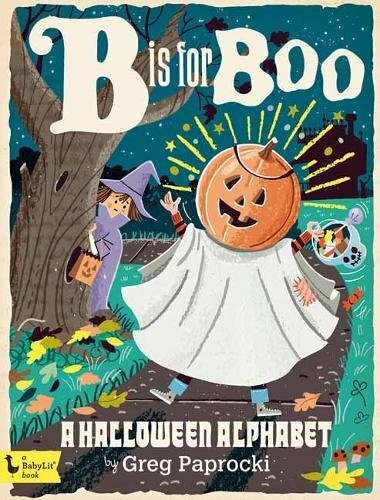 I'm a huge fan of Greg Paprocki's whimsical, retro illustrations, so I'm practically jumping around screaming with joy that "B is For Boo" is finally released! 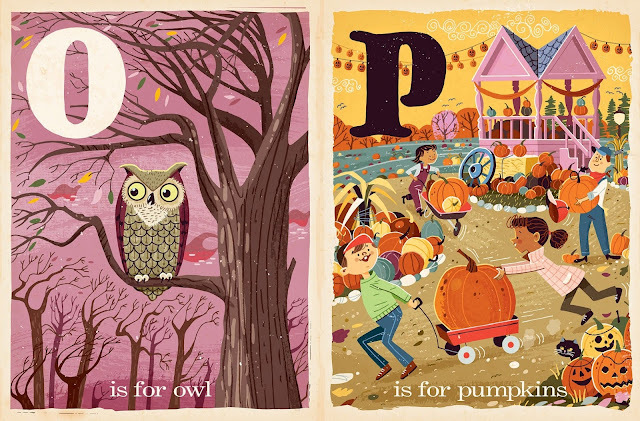 I like alphabet books, and collect a few. 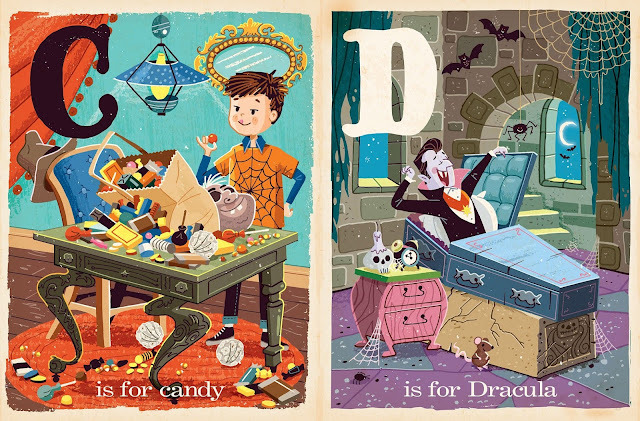 They aren't actually a lot of fun to read with real children, other than tiny babies who drool and watch you flip the pages, waiting for their chance to chew on the corners. I love that Dracula retires for the day in his formal suit. He looks like he's waking up so refreshed - and possibly so thirsty! I wish my own house looked half as cool as Paprocki's crooked little haunted house. Perhaps I should try boarding up some of my windows! Let me be the first to admit this book isn't very spooky or dark. It's just so dang adorable though! 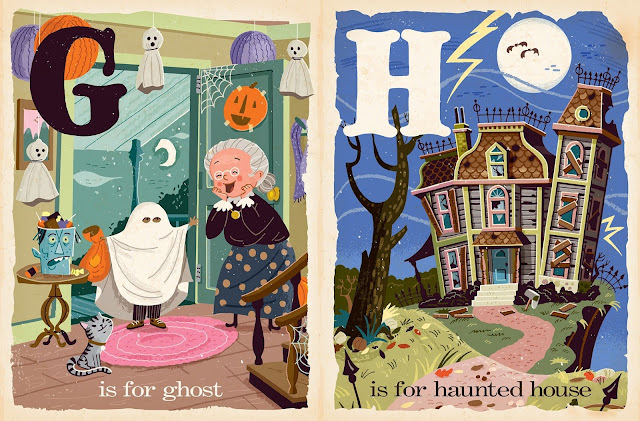 Would you read B is for Boo to a child, or just add it to your spooky Halloween book collection? Let me know in the comments section below.